It is an adapter to existing vending machines to allow the Raspberry pi to work as the slave cashless payment device for vending machine. 3. Online service with SKYPE for technical advice in your development process for MDB cashless payment. A Raspberry Pi vending application that utilizes NAMA’s Multi-drop Bus protocol to interface a Raspberry pi with the existing vending machine. RASPBERRY-MDB allows the raspberry pi to act as a slave cashless device for existing vending machine controllers (VMC). 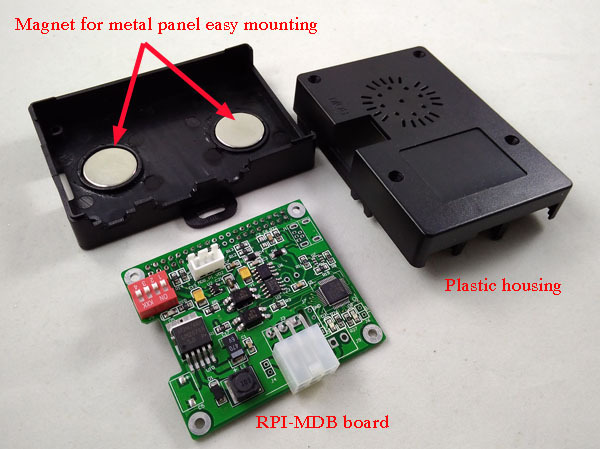 The RASPBERRY-MDB interfaces any MDB vending device to the Raspberry via the serial port. and allow the Raspberry to work as the cashless payment device for the vending machine. 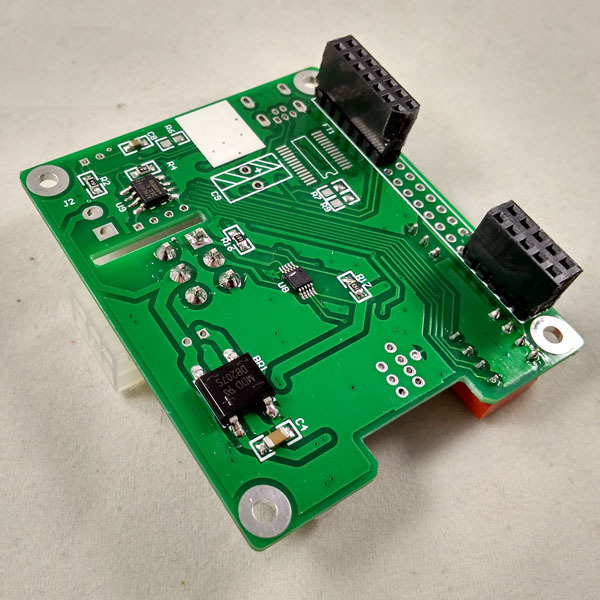 It is an adapter to existing vending machines to allow the Raspberry PI to work as the payment device for the vending machine. RASPBERRY-MDB allows the Raspberry PI to act as a slave cashless payment device for existing vending machine controllers (VMC). It allows the Raspberry PIto act as a cashless device and add credit(s) to the vending machine. 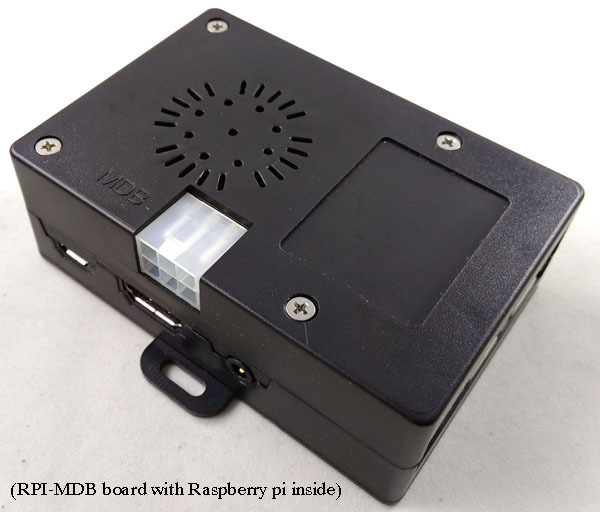 The RASPBERRY-MDB interfaces any MDB vending device to the Raspberry PI via the serial port. By default it acts as device type 10 (cashless device). It has the switch on the box to select the working address as 10H or 60H. This describes the Interface Protocol for the RASPBERRY-MDB Hardware circuit. 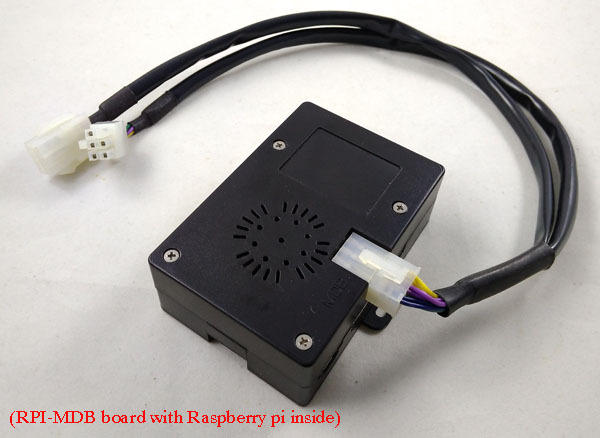 The RASPBERRY-MDB interfaces any MDB vending device (6-pin molex/5pin MTA) to the Raspberry PI via the serial port. You can send the easy command list,then can communicate with the vending machine to add the credit. and Raspberry PI would start to work with the Our RASPBERRY-MDB adapter box to act as the cashless payment device to vending machine. What we need the Raspberry-MDB ? 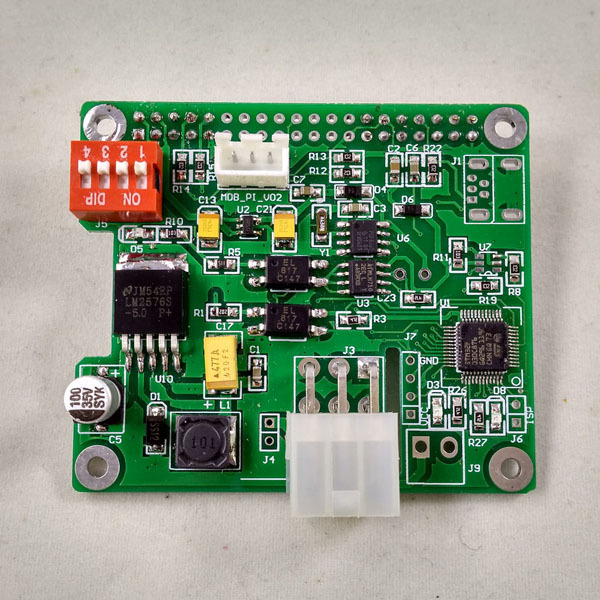 We designed our MDB Raspberry pi hat board,that is used to connect the vending machine to the internet. 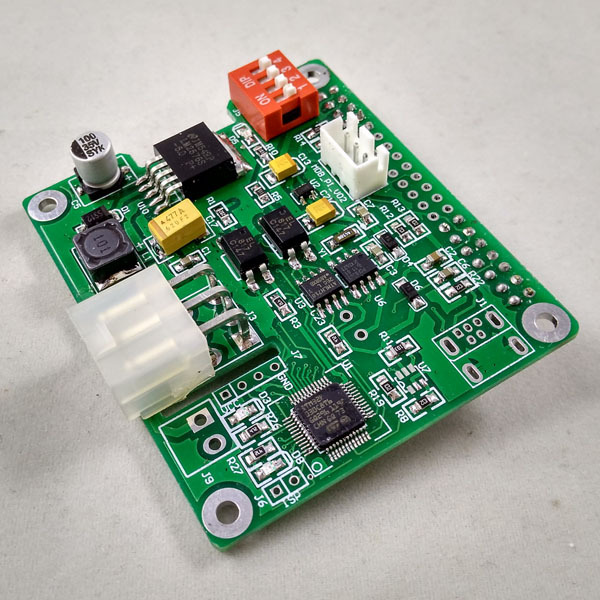 Now the internet and mobile payment is fast approaching and already affect our lives greatly.But the MDB interface is a difficult protocal and also it has strict and very short timing constraints.We designed this adapter board for customers to connect to the vending machine easily with Raspberry PI board.